Is it snowing in Leysin ?Thank you! Issued: 1 am 21 Apr 2019 (local time). The snow forecast for Leysin is: Light rain (total 3.0mm), mostly falling on Mon morning. Very mild (max 12°C on Mon afternoon, min 5°C on Tue night). Wind will be generally light. Leysin Weather (Next 3 days): The snow forecast for Leysin is: Light rain (total 3.0mm), mostly falling on Mon morning. Very mild (max 12°C on Mon afternoon, min 5°C on Tue night). Wind will be generally light. Leysin Weather (Days 4-6): Moderate rain (total 12.0mm), heaviest on Wed afternoon giving way to a moderate fall of snow, heaviest on Thu night. Freeze-thaw conditions (max 10°C on Thu afternoon, min -2°C on Fri night). Wind will be generally light. Moderate rain (total 12.0mm), heaviest on Wed afternoon giving way to a moderate fall of snow, heaviest on Thu night. Freeze-thaw conditions (max 10°C on Thu afternoon, min -2°C on Fri night). Wind will be generally light. Light rain (total 3.0mm), mostly falling on Mon morning. Very mild (max 12°C on Mon afternoon, min 5°C on Tue night). Wind will be generally light. The above table gives the weather forecast for Leysin at the specific elevation of 1728 m. Our sophisticated weather models allow us to provide snow forecasts for the top, middle and bottom ski stations of Leysin. To access the weather forecasts for the other elevations, use the tab navigation above the table. For a wider view of the weather, check out the Weather Map of Switzerland. Just returned from a week of ski holiday in Leysin, from Dec 28 to Jan 4, this is our first time in Leysin, but we have being skiing across the other side of the valley in Villars for many years. Compared with Villars, Leysin seem to attract fewer skiers, which is fine with us; less crowded at the lift chair waiting lines. In general, the ski area is okay. However, the cable car access is not very user friendly. You need to climb two levels of stairs to get to the cable car; a pain in the neck when you have the ski boots on. For the slope, in general, is quite okay when there is snow. We are fortunate because most slope are not open until Dec 28 2013 due to lack of snow. 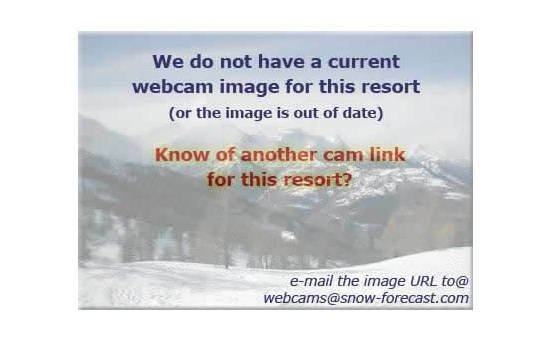 The Leysin skiing weather widget below is available to embed on external websites free of charge. 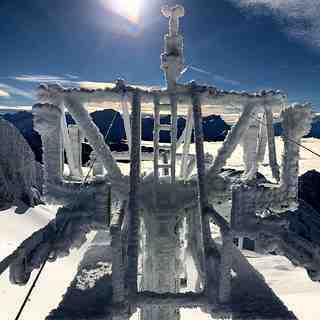 It provides a daily summary of our Leysin snow forecast and current weather conditions. Simply go to the feed configuration page and follow the 3 simple steps to grab the custom html code snippet and paste it into your own site. You can choose the snow forecast elevation (summit, mid-mountain or bottom lift) and metric/imperial units for the snow forecast feed to suit your own website…. Click here to get the code.